The condos are coming to Sheepshead Bay. And some have catchy names like the Ocean, the Vue and 1 Brooklyn Bay. The sponsors behind those projects — including the local firm Rybak Development and a joint venture between Muss Development and AvalonBay Communities — are among several established builders looking to make a splash there. But the biggest new real estate projects in the southern Brooklyn neighborhood are almost entirely residential, with demand for commercial space vastly outpacing the supply, according to industry sources. “You’re not going to find that many investors willing to develop or operate office buildings out there, and that’s part of the problem,” said Henry Abramov, research director at the New York-based commercial brokerage Lee & Associates, which recently shared an analysis of the neighborhood with The Real Deal. That, compounded by infrastructure issues and a shrinking supply of available land, makes it hard to say whether the recent wave of development will be short-lived or the start of something bigger. Sheepshead Bay — named after an edible fish that used to be prominent in its surrounding waters — is located near the end of the B and Q subway lines, roughly an hour from Manhattan by train. And the neighborhood looks out at the Rockaways instead of New York’s epicenter. However, the new condo projects show that Brooklyn’s development boom has spread about as far south as it can, with a growing number of people being lured by the lower costs of living and close proximity to the beach. Muss and AvalonBay’s 1 Brooklyn Bay, a 28-story project at 1524 Sheepshead Bay Road, will include 260,000 square feet of residential space and 15,000 square feet of ground-floor commercial space on 2.5 acres. The development, which has a sellout of $75.3 million, came in at third place on TRD’s list of most valuable Brooklyn condo filings accepted in 2017. “It’s sort of like what you see in Long Island or New Jersey or other parts of the region outside of core Manhattan or core Downtown Brooklyn, where the only development you’re seeing is residential,” said Jon Vogel, a senior vice president at AvalonBay, a national real estate investment trust. That, of course, includes luxury properties with more trendy amenities for tenants, including fitness centers, rooftop decks and swimming pools. But those residents are “going to have to commute to get to work,” Vogel noted. Although Muss and AvalonBay’s project contains a mixture of 56 condos and 180 rental units, several of the other major new projects in or on their way to Sheepshead Bay are exclusively condos. Among those are a 56-unit property at 2128 Ocean Avenue from Bentley Zhao’s New Empire Real Estate Development with a $43 million sellout, a 19-unit building at 1780 Sheepshead Bay Road from developer Yaacov Azrad and Rybak’s developments at 3041 Ocean Avenue (the Ocean) and 1809 Emmons Avenue (the Vue). The Ocean has a sellout of more than $30 million and spans roughly 50,000 square feet with 40 units, while the Vue has a sellout of almost $80 million and spans roughly 84,000 square feet with 58 units. These new projects are not only upping the housing stock but also the cost of buying a home. Prices in the neighborhood have gotten progressively steeper over the years for both sales and rentals, according to data from StreetEasy. Though real estate in Sheepshead Bay is far cheaper than it is in Williamsburg or Park Slope, the median asking rent rose from $1,400 to just under $2,000 over the past five years, while the median asking price for sales shot up from $239,000 to roughly $690,000 in the same period. Land prices per square foot for commercial development sites have gone up as well, hitting $394.72 in 2017, up from $232.77 in 2013, according to Lee & Associates. 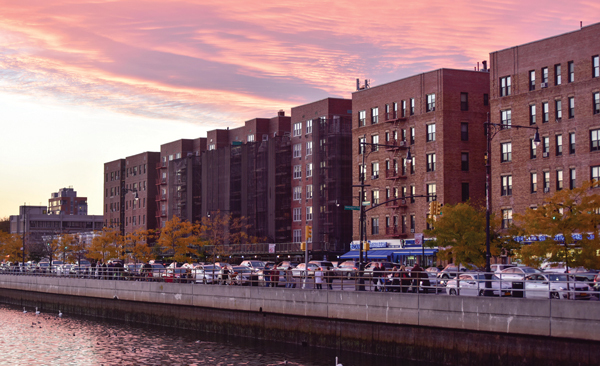 Erik Yankelovich, the senior director of investment sales at GFI Realty Services, said the quality gap between housing in Sheepshead Bay and “Brownstone Brooklyn” has closed in recent years, helping landlords attract new kinds of buyers and tenants. “You’re seeing the successful young generation willing to pay top-dollar rents and top-dollar pricing for the right product with the right amenities,” he noted. The neighborhood’s population rose from about 147,000 in 2007 to nearly 151,000 in 2016, according to Census data. And sources say that growth is poised to continue at a steady clip. The rental units at 1 Brooklyn Bay are already fully leased, according to Vogel. Jason Muss of Muss Development, meanwhile, said his firm began selling the project’s condo units in May, and buyers had scooped up more than half of them as of early February. He maintained that Sheepshead Bay and southern Brooklyn in general have been severely underserved when it comes to housing, despite the willingness of residents to pour a lot of money into their property. But the looming question is: When will more office and high-end retail space follow? Azrad, one of the more prolific developers in and around Sheepshead Bay, is also planning a 105-unit rental building with commercial space at 2450 Ocean Avenue. The commercial space will likely include a doctor’s office or day care center, he said. The greater Sheepshead Bay area has about 3.5 million square feet of office space, including only 10 buildings that span more than 50,000 square feet, per Lee & Associates. Most commercial buildings in the neighborhood span less than 20,000 square feet, and just under 150,000 square feet of new office space is currently under construction. As a result, many of the roughly 7,100 businesses in the greater Sheepshead Bay area — which also includes Brighton Beach, Manhattan Beach and Gravesend — lease retail space or converted space in homes for their offices, according to Abramov. “There’s not much supply that [can] accommodate the needs for these type of tenants,” he said. 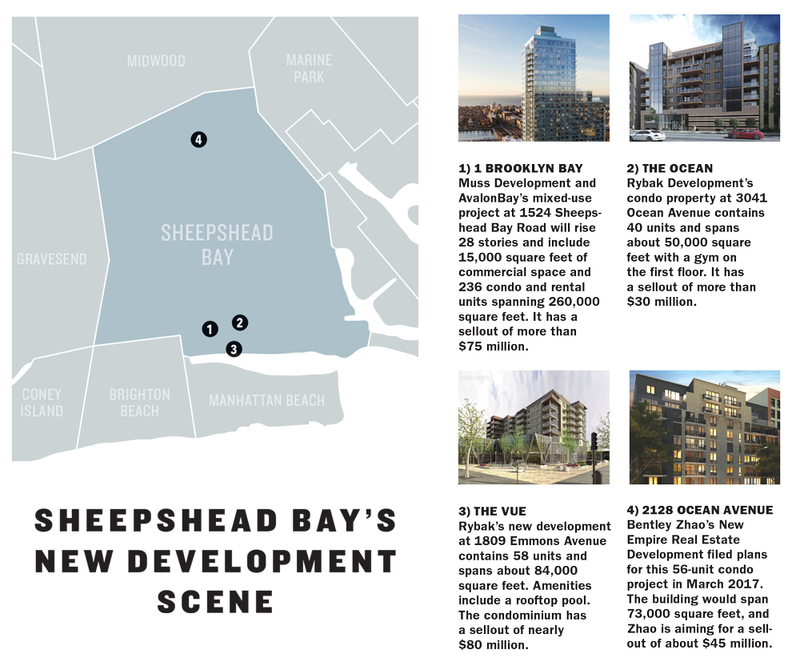 Abramov, who noted that even small professional teams need about 2,500 square feet of space on average, said Sheepshead Bay should have between 5 and 5.5 million square feet of office inventory. By his estimate, demand is outpacing supply by as much as 2 million square feet. Azrad, who said Sheepshead Bay needs more office space due to the new crop of housing and rising population, blamed strict zoning rules for the lack of it. “The areas where you can do office [are] very limited,” he said. Abramov argued that while zoning is partially to blame, commercial developers also play an offstage role — since the majority are still unwilling to venture too far into the outer boroughs. “There’s barely any professional medical office suites out in the area, even though that demand is out there,” he said. But not everyone sees the lack of office space as a major problem. Vogel said that the office leasing market in the area is simply not strong enough to justify new construction, while Muss said that few people — lifeguards aside — move to Sheepshead Bay to be close to their jobs. State Assembly member Steven Cymbrowitz, who has worked in Sheepshead Bay since the 1970s and has represented it in the Assembly for 18 years, said that his constituents are much more concerned with bringing even more housing to the community than they are with getting more new office buildings. 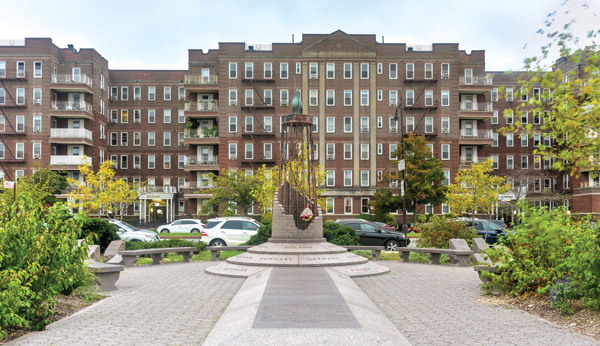 Erik Serras, principal broker at Brooklyn’s Ideal Properties Group, said that going to Sheepshead Bay almost feels like traveling back in time, which he views as part of its appeal. He said he’s especially fond of the old-fashioned food markets. But that could soon change with or without new office buildings. The Corcoran Group’s Fernandez said that while the neighborhood was still attracting mostly local buyers just five years ago, it is now attracting people from all over Brooklyn and parts of Manhattan. One reason these buyers are coming to the neighborhood is that some of the new projects are making it more like the parts of the city they are leaving, he noted. The most recent developments have already started to change the neighborhood, Brooklyn Community Board 15’s chair, Theresa Scavo, said. Rybak’s project on Emmons Avenue replaced a diner, while Muss and AvalonBay’s complex on Sheepshead Bay Road is replacing an empty lot formerly used for Verizon trucks. That hasn’t led to an onslaught of gentrification concerns, she noted, but it has led to severe traffic problems. Those traffic issues could peak with the current wave of projects, though. Several people familiar with Sheepshead Bay said it will be difficult to pursue more big projects there simply due to space issues. GFI’s Yankelovich said he’s now seeing more interest from developers in Coney Island — one of the only neighborhoods located even deeper in Brooklyn. Muss predicted the future of real estate in Sheepshead Bay may look more like the past, with developers mostly focusing on smaller projects. He said that while his team has been fortunate to carry out such a large-scale development in the neighborhood, finding another 2.5-acre site would be a challenge.